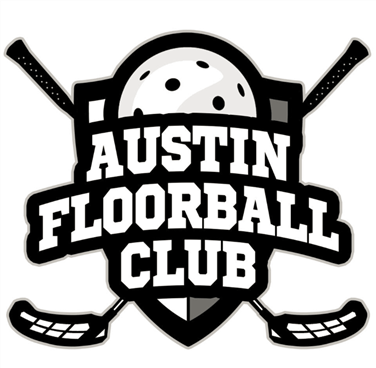 Welcome to the Austin Floorball Club! Thanks for stopping by! We play floorball in Austin! Floorball is a type of floor hockey that is fun and safe for all ages and skill levels. Interested in playing? Check out our pages and details on ways to play along with current news below. Tuesday night drop-in games @ Virginia L. Brown recreation center in East-Central Austin. Click the link below or visit our Tuesday Night! page at the top. As the local floorball club in Austin we want to invite you to become an elite Austin Floorball Club member for year 2019. The Austin Floorball Club will soon be a registered non-profit organization. In order to build a strong organization and community it starts with the players, and the way you can help out is to become a member for only $32. The 2019 membership will officially go from October of 2018 through September of 2019, be we are starting the registration a couple of months early in order for new members to sign up for the summer league at a discounted rate. Want to take the competition up a notch? Play league play! SPRING 2019 league sign-ups are OPEN!!! Most of our players stay up to date with the club on social media, especially our Facebook group.